Home › Uncategories › Decoy at FIG at The Mayor Gallery. Tuesday 26th March 2013. Decoy at FIG at The Mayor Gallery. Tuesday 26th March 2013. 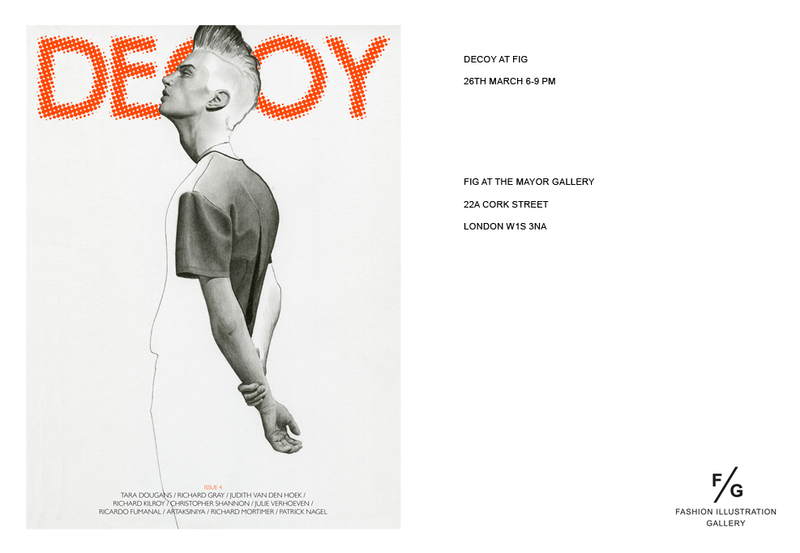 On tuesday evening, Decoy will hold an evening at FIG at The Mayor Gallery, Cork Street London. Viewers will have the chance to view many of the original works created by the featured illustrators of issues 1 -4, Richard Gray, Ricardo Fumanal, Tara Dougans, Artaksiniya and myself. This will be held alongside FIG's current display which is open to the public, featuring works by David Downton, Rene Gruau, Tanya Ling, Andy Warhol and more. Visit www.fashionillustrationgallery.com for more information. Signed issues will also be available.